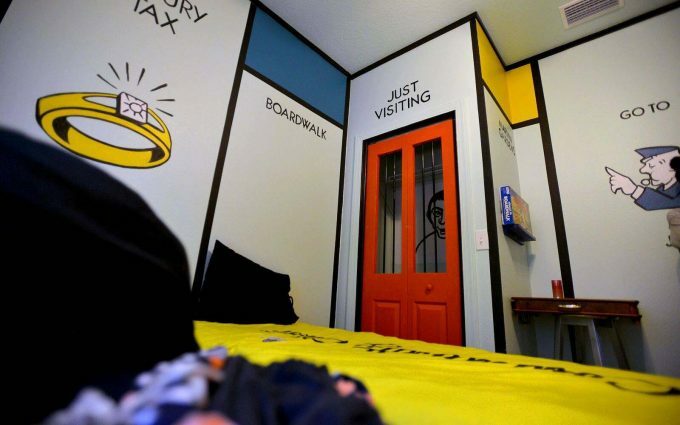 If you’re the kind of person who’s stoked to find an old puzzle or a beat-up Monopoly board in your holiday rental, we may have found the accommodation of your dreams. 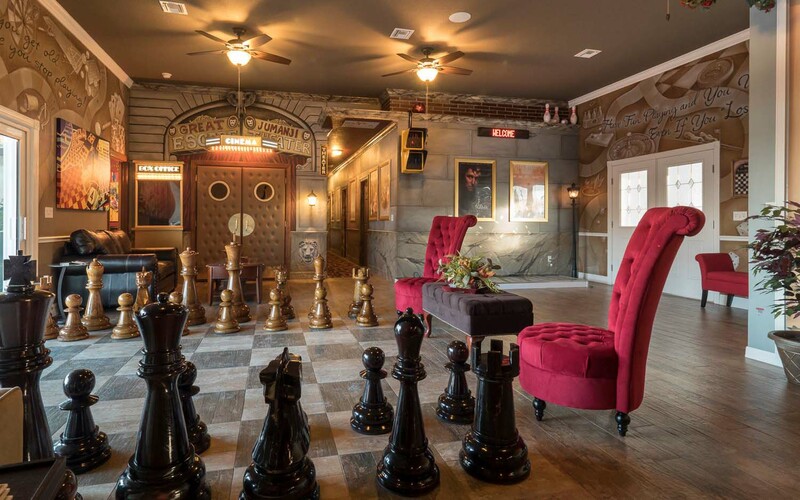 The Great Escape Lakeside Retreat is located just outside of Orlando, Florida, and boasts no less than 13 game-themed bedrooms and 11 bathrooms. 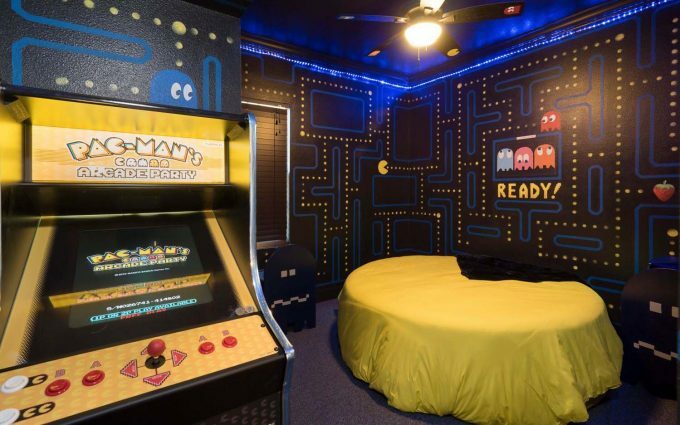 Think Pac-Man mazes, giant chess sets and casino rooms with blackjack tables and a roulette wheel. But that’s not even half of it. 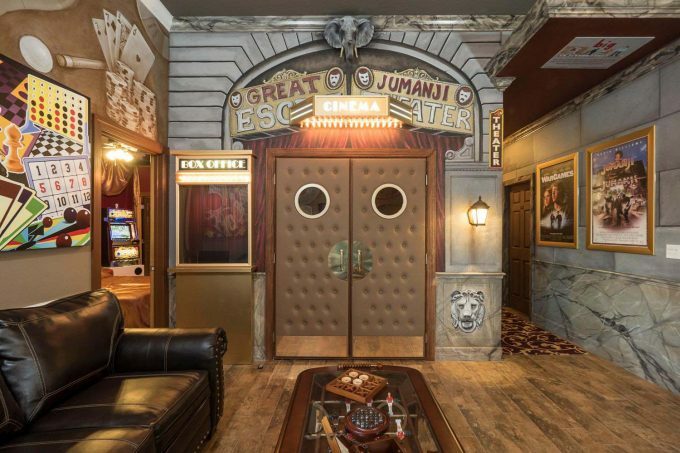 There’s also a 150,000-litre lazy river-style pool, a waterslide, a mystery theme escape room, a state-of-the-art Jumanji-themed movie theatre, a video game and pinball arcade, human bowling and foosball, basketball and volleyball courts, giant Connect 4 and a Guiness World Record-breaking word-search wall. 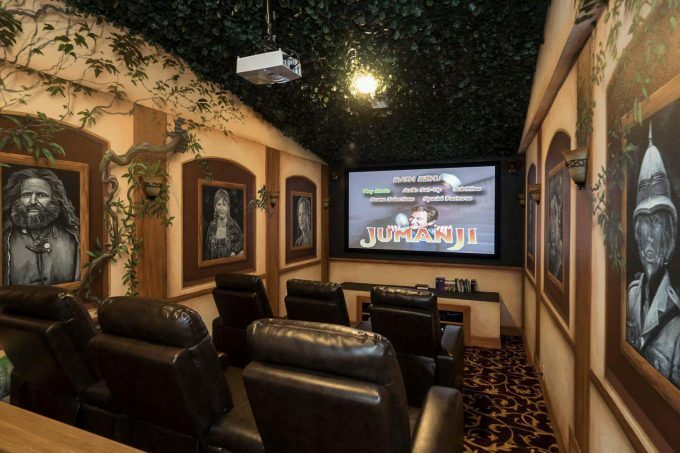 Oh, and the world’s first residential laser maze, because of course. There’s room for up to 45 people, so there’s plenty of space for you and your most competitive mates. And, best of all, it’s available to book on Airbnb. Bookings start at $1600 (USD$1295) per night on week nights during off-peak periods, or $1790 (USD$1445) Thursday to Saturday. 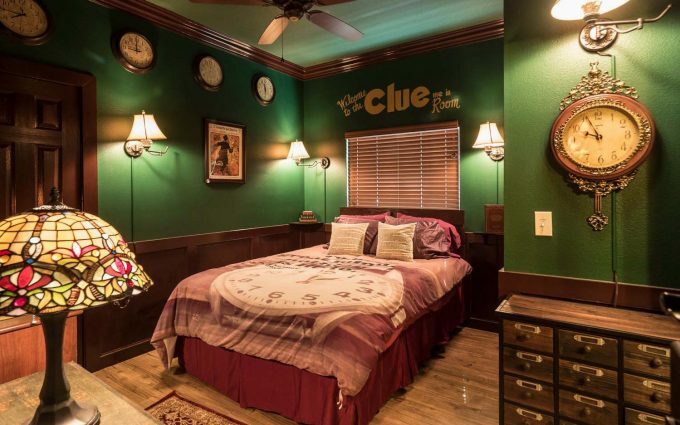 A three-night minimum stay applies to all bookings, though it looks like you’ll need longer than that to solve all the puzzles. Check out Qantas flights to book your next adventure in Orlando.